Groundhog Punxsutawney Phil predicts an early spring; get a jump-start on spring cleaning! Just as it is in nature, springtime is also a season of renewal and change inside of your home. And, we know you're probably thinking, "Ughh, deep cleaning my whole house seems impossible. I'll get to it later." And, then "later" rears its ugly head the day before your in-laws arrive from out of town. 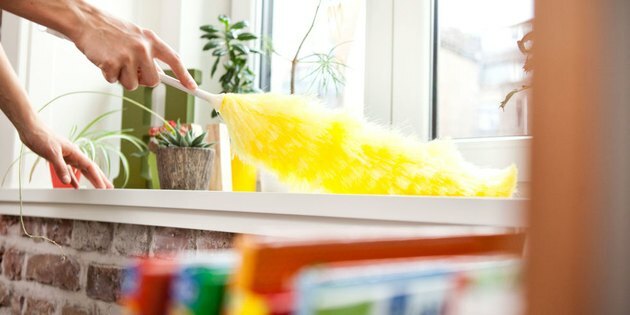 The truth is, spring cleaning (while not the sexiest way to spend your weekend) is not impossible. All you really need to jump-start your deep clean is the right approach. Once you get the ball rolling, you'll find that tidying up your home is actually extremely satisfying. So put on your fave tunes, let the sunshine in, and let the cleaning extravaganza begin with these helpful tips. Making a to-do list immediately increases your odds of spring cleaning success. Even if you don't end up crossing off every last item, you'll get a heck of a lot further with a to-do list to guide you through the mayhem that's accumulated since the last time you did a deep clean. Pro-tip: If your list looks overwhelming, add a method to the madness by grouping the items according to room, task type, length of time, or whatever works best for you. 2. Take inventory of your cleaning supplies. Nothing puts the kibosh on jump-starting your spring cleaning like suddenly running out of your trusty all-purpose cleaning spray. As soon as the housekeeping train leaves the station you'll want to capitalize on that momentum to see it through to the end, and impromptu detours will make you lose steam. So before you get started, review your to-do list and make sure that you have all of the sprays, polishes, dusters, and containers that you'll need to get the job done. Purging items from your wardrobe is a particularly effective way to get going on your spring cleaning, while simultaneously doing good for others. 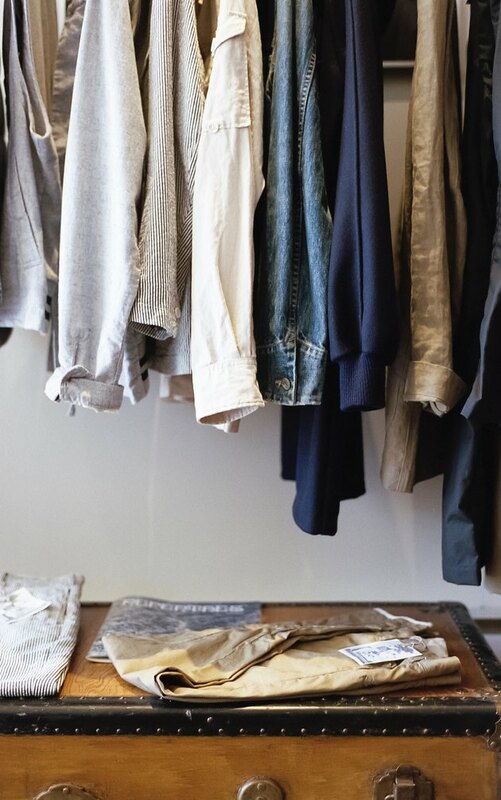 And let's be honest, going through your closet is a much more appealing way to start a cleaning spree than starting with your kitchen or bathroom. Go through all of your clothes and discard the items that are damaged beyond repair. If there are clothes that are in good shape, but you no longer want them or they no longer fit, donate them to a local charity or thrift store. Or, make a few bucks and sell them to a vintage retailer or consignment store. 4. Clean and clear your windows and windowsills. Windowsills are easy to forget, making them notoriously susceptible to gathering clutter and dust. And after months of rain, wind, and snow, your window panes are probably covered with dirt, grime, and water stains. Take a few minutes to clear and wipe down your windowsills, and then wash the windows. The bright, unobscured natural light will energize your spring cleaning endeavors. 5. Dust any and everywhere. While you were hibernating over the winter, the dust was gathering. This is your opportunity to clean the places that you haven't cleaned in months — we're talking under the fridge, on top of the cabinets, ceiling fan blades, and the AC vents. Pro-tip: Wear a mask (or a scarf) and glasses when reaching for the high spots, just in case you get a face full of dust. 6. Deep clean your fridge. Real spring cleaning means deep cleaning. So the answer is "No. 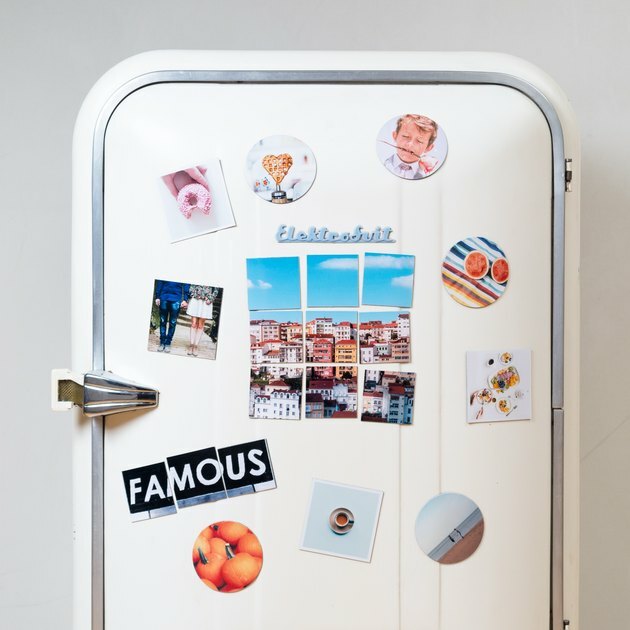 Your kitchen hasn't truly been spring cleaned until you tackle the fridge." Start by removing everything from your refrigerator, consolidate, check expiration dates, and toss out what you can — but don't forget to recycle. Next, remove the shelves and drawers to wash them, and wipe down the inside of the fridge with a naturally deodorizing cleanser before replacing everything. It's going to feel like a whole new world. Getting rid of things that you no longer need is (arguably) the best part of spring cleaning. 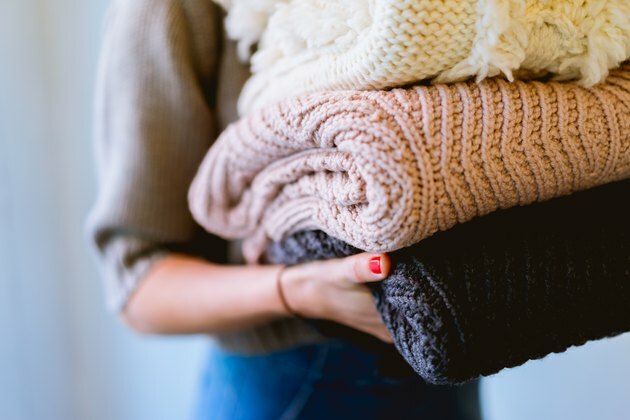 While you're stowing away coats, scarves, and blankets for next winter, take advantage of the opportunity to declutter, especially your linen closets. Streamline your home by putting things that you're no longer using away, and getting rid of things that you no longer need or want. It's generally recommended that you flip and/or turn your mattress every so often, so why not check it off the list and add some fuel to the spring cleaning fire? Recruit a helping hand to speed the process up, or fly solo using a wall (or an extremely sturdy bed frame) for support. Pack up the heavy winter blankets and welcome spring with a light, bright set of bed linens. 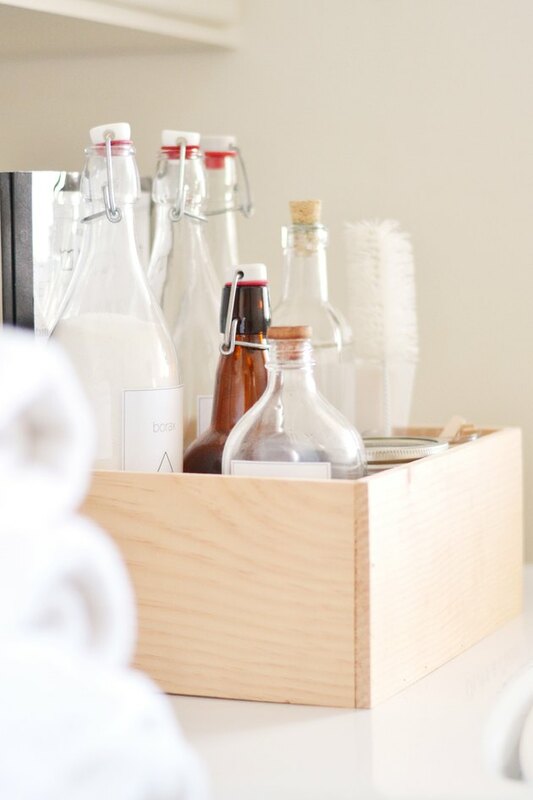 Medicine cabinets, shower shelves or caddies, and vanity cabinets are easy prey for disarray and unnecessary clutter; but luckily, they're also relatively easy to clean and reorganize. 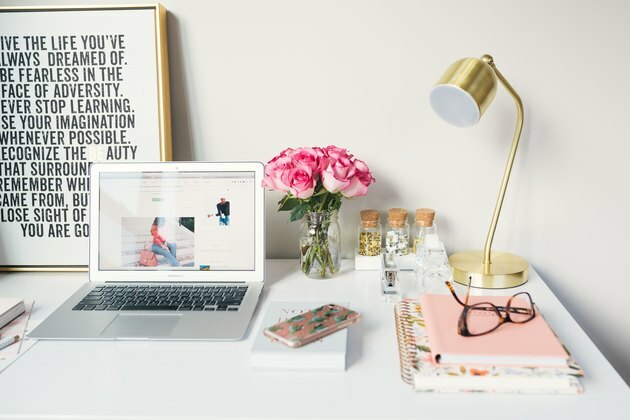 Ticking these items off of your spring cleaning to-do list from smallest to largest will leave you feeling super organized and motivated. Just be sure to recycle plastic bottlesand dispose of medications responsibly by taking them to your local pharmacy. 10. Do a digital purge. These days, spring cleaning your desktop is almost as gratifying as tidying up your home. We spend such a big chunk of our lives working on our computers, and they need a little TLC, too. Delete what you don't need, organize what you do, and don't forget to back it all up!